Announcement: Writers’ Huddle is now open for new members! You can get all the details here. Update: I’ve added the transcript to this post, and improved the volume level on the video. It isn’t quite so perfect as I’d like, but if I held out for perfection, I’d never post it at all! The video is 13 minutes long, and there’s a transcript (with the slides included) below. Big thanks to Andy, who always creates excellent transcripts. If you’re looking for a transcriptionist or proof-reader, please drop me an email on ali@aliventures.com and I’ll be very glad to pass Andy’s details to you. I’ve edited the transcript slightly for easy reading. 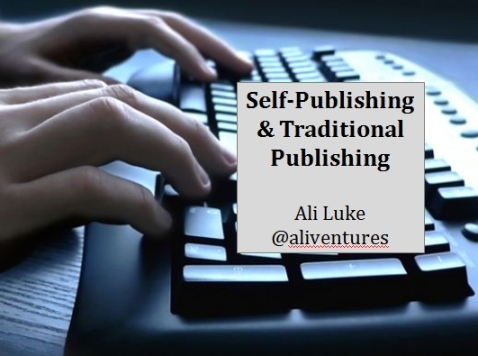 Hi, I’m Ali Luke, and I’m going to be giving you a short presentation about self-publishing and traditional publishing, my experience with them. I’ll include some tips on how you might want to choose between the two; some thoughts on the pros and cons either way. This is a presentation that I originally gave at a Society of Young Publishers event, in Oxford, my home town. I thought a good place to begin would be by saying that self-publishing doesn’t have to be a great big scary step into the unknown. Many people online are self-publishing, whether or not they perhaps phrase it in those terms, or quite realize it. We’ve got sites like Blogger and WordPress which allow people to run their own blog, and publish, that is, self-publish, their thoughts and ideas and opinions and so on. 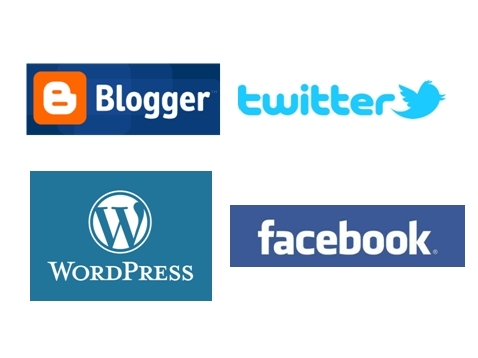 Then we’ve got social media sites, like Twitter and Facebook. Although you might perhaps only write a couple of sentences in an update, that is a form of self-publishing. You’re still taking your own words and putting them out there for other people to read. For many people who self-publish ebooks, and certainly for me, this is a good place to start. You might begin with a blog, build up an audience gradually, and then release an eBook, or you might start with a strong Twitter following and then start a blog, or just go straight to eBook form from that. Self-publishing isn’t just for people who are writing books. Anyone who is putting their work out there for an audience, for the world to read, is a self-publisher. If you think of it in those terms it may help you to consider whether you’re ready to take the next step and actually self-publish a book. I wanted to show you some of my own self-publishing efforts. This is my site for my Blogger’s Guide ebooks, which are a series of currently three, next year soon to be four, ebooks aimed at bloggers. They’re specialized information – they’re not aimed at a mass market, they’re aimed at people who have quite specific needs and want quite specific information, which means that I can charge a high price tag, given that these are books. They are $29 each or $57 for all three, as you can probably see from the slide, and they sell pretty well at full price, so this is a good strategy for you to adopt if you are writing for quite a specialized market, maybe a quite high-tech market. If you’ve got some great information, perhaps including things like screenshots or graphics or links, or something else that it’s easiest for you to do in a PDF format, where people are going to read it on their computers or tablets. And so that’s pretty much where I got started with ebooks. Then, as well as publishing the Blogger’s Guides, right at the other end of the self-publishing spectrum, I’ve self-published a novel. 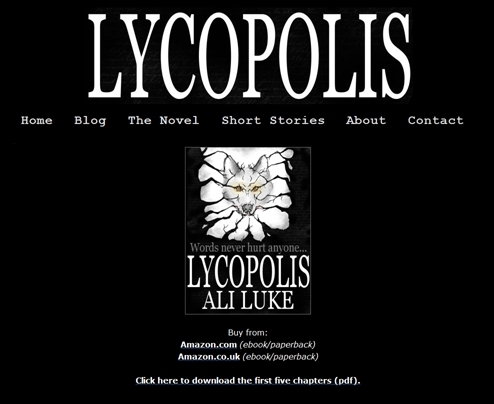 This is Lycopolis, you can see the website in the screenshot here, and Lycopolis is $2.99 in eBook form from Amazon. 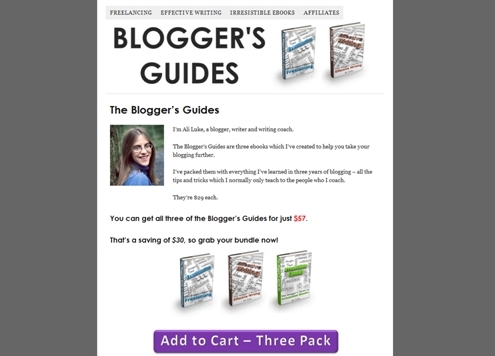 It’s about a tenth of the price of the Blogger’s Guides, and I can tell you that it took a lot more work to write, because I put a lot more time into the novel, and in fact, in terms of word count, it’s quite a bit longer than the Blogger’s Guides. The thing is, when it comes to buying a book, people are looking for how useful that book is going to be to them, or how entertaining it’s going to be, and there’s no way anyone would pay me $29 for a novel, so I’ve deliberately kept the price low. I’m selling it through Amazon, so, although Amazon obviously take a cut, I’m getting shelf space on the biggest bookstore in the world, which is great, so I’m building up the readership there on the novel. And then this is a book that I wrote this year, and that just came out this very month, Publishing E-Books For Dummies. Now, this isn’t self-published, this is very traditionally published, in that it’s with a big publishing company, Wiley, and it’s part of a very well known brand and series, the For Dummies series. Even if you’ve perhaps never bought one of the For Dummies series, you’ll probably recognize this square yellow-and-black format, it’s very iconic, you may well have seen it in bookstores. This was a very different experience from self-publishing, because I had several editors working on the book, plus a publicity team, marketing people and so on. Before, I was used to doing everything myself, so it’s been nice to have a whole team of people working on the book alongside me. I wanted to come on now to some of the pros and cons between kind of self-publishing and traditional publishing. One of the great advantages of self-publishing, in today’s information age, is that it gives you a world-wide reach. With Lycopolis, I’ve sold more copies in the United States than in the UK, despite the fact that I live in the UK, and without Amazon, without the internet, there’s no way that I could be selling copies of my book around the world. Again, with the Blogger’s Guides, I’m selling most of those to people in the US – it’s a very international market – and in fact I’ve priced the Blogger’s Guides in dollars, because I knew that the majority of people buying them are not actually people who are local to me in the UK. 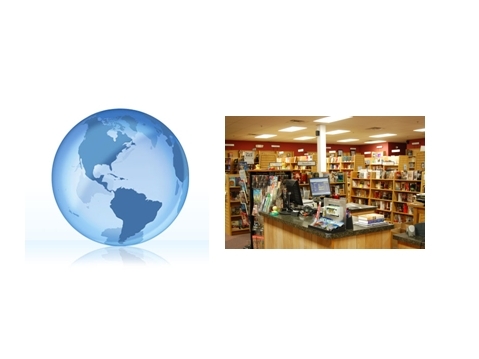 Then, on the flip side, with traditional publication, you may well get global distribution, which is the case with my book Publishing E-Books For Dummies, but you also have the opportunity to be in bookstores. Now, this is possible if you are a self-published author, you can get a self-published book into bookstores, but it’s a difficult thing to do. It’s obviously much easier to do if you’re with a big name publisher who has the distribution capabilities and the links and the contacts with bookstores and so on. So, it really depends what your specific goals are, and what kind of book you want to write as to whether you’re going for the digital, global, instant distribution that you can get from self-publishing, or the physical presence in bookstores that you can get with traditional publishing. Time is an issue with many of us. For some writers it’s important to get their books out there as quickly as possible. They may not have the patience to wait for a couple of years for it to be published by a traditional publishing company, they may want to get money coming in more quickly than that. These considerations can be crucial ones in deciding whether to go for self-publishing or traditional publishing. 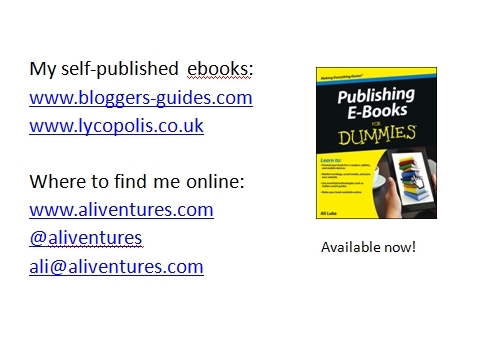 Certainly I’m not the most patient of people, so I was glad to be able to self-publish the Blogger’s Guides, to self-publish Lycopolis in particular, rather than have to go through a process of finding an agent, finding a publisher, and waiting for the book to come out, and so on. On the other hand, my traditionally published book with Wiley happened very quickly, because in this part of the For Dummies series, Wiley are a tech publisher, and obviously the books need to come out on quite a tight timescale, because the technology world moves on so fast. So, my personal experience of both self-publishing and traditional publishing is that it’s rapid, but I know from other authors who’ve been traditionally published, and from my attempts to get Lycopolis traditionally published, that it can be an extremely slow and frustrating process. 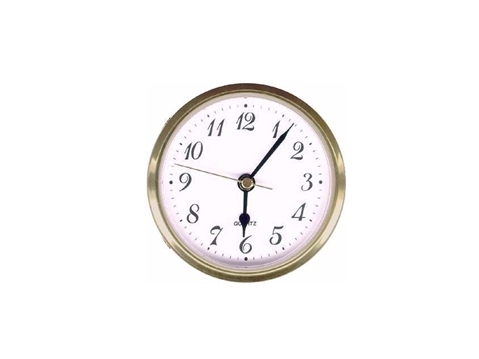 If time is a really big factor for you, then that may well nudge you towards self-publishing. Then, alongside time comes money, and this is one where there’s probably no right answer. Of course, if you self-publish, you get to keep all the profits, and you get to set your own prices, and perhaps adjust those as you see fit to try to sell the maximum number of books, make the most profit you can on each book. On the other hand, with a traditional publisher, you’ll typically get an advance. It may not be a huge advance, it’s probably not going to be “quit your day job” kind of money, but that advance can make a really big difference to your ability to actually sit down and write your book. This is obviously going to depend on perhaps what kind of book you’ve written, your personal ability to get it out there and market it and so on. Certainly for me, and I think perhaps for quite a few authors, having some sort of hybrid model, with some self-published, some traditionally published works, may be a way to make the best of both worlds in terms of the money. 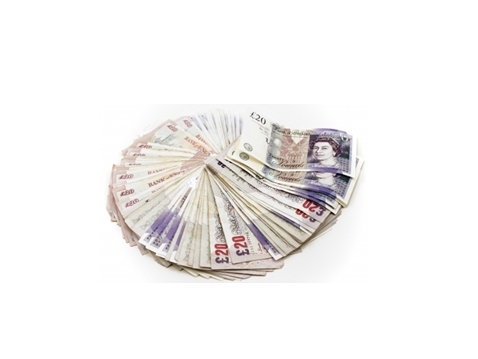 Something that you will hear people say about having a book out, particularly a traditionally published book, is that it’s not a great way to make a fortune in itself. It can be a very very good way to build your career, and to give yourself a particular status, particularly if that book is with a well known publisher, but it won’t necessarily result in a huge level of cash flow. You may find if you want to make a living just from your books, that it’s actually better to bring out ebooks, you know, perhaps every few months, so you’ve got a steady stream of those books being launched, and then you’ve got more and more books on the shelves for people to buy. Then another consideration is whether you’re the type of person who just prefers to go it alone and have full control over things, or whether you’re the type of person who prefers to be part of a team. With self-publishing, obviously you can do as much as you want yourself, up to and including things like the more technical side, getting your book into the right formats for Amazon and other online sites and so on. With traditional publishing, you will have at least an editor, quite possibly more than one editor, people who deal with things like marketing and publicity and so on, and you won’t be expected in any way to be responsible for actually physically turning your manuscript into a book. There’ll be people who are experts who handle that. But of course, as a self-publisher, you can employ an editor, you can employ somebody with technical skills, you can employ a designer. It doesn’t have to be a complete black and white choice here, but it’s worth keeping in mind that if you want to have full control over your book, then you probably want to self-publish. If you’re hoping for a traditional deal, there will always have to be some element of compromise. So, another way in which you might want to blend self-publishing and traditional publishing is to self-publish your book first, then aim to get a traditional deal on the back of that. The screenshot shows just a couple of examples of authors who have done exactly that. Amanda Hocking ,who writes fantasy young adult novels, mainly, and E. L. James, who probably needs no introduction, who wrote the 50 Shades of Grey trilogy, which hit the bestseller lists this year. Both of these authors originally published their work to an online audience, built up a following, and then were able to get a traditional book deal as a result of that. This is something that more and more self-publishing authors are doing. Publishers are increasingly looking for authors who have an online platform, who have an online following, and who even have a book that has been shown to find a market, which has readers already. In the past, if you self-published a book, that’s sometimes meant that publishers wouldn’t touch it, because they considered it previously published, and they thought it wouldn’t then sell. That’s really changed over the last couple of years. So, if you want to find out a bit more about my ebooks, or about me, my Blogger’s Guides are at www. bloggers-guides.com, and Lycopolis is at www.lycopolis.co.uk. 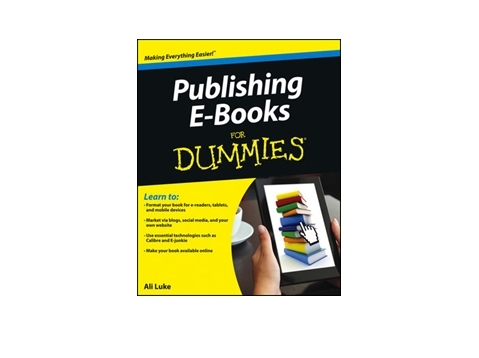 My book Publishing E-Books For Dummies is available now from Amazon, Barnes and Noble, from online bookstores, and quite possibly from your local bookstore, so get yourself a copy of that if you would like to go further with publishing ebooks yourself. You’re welcome to find me on Twitter, @aliventures, or email me at ali@aliventures.com, and I’ll be very happy to answer any questions about self-publishing, or about my experiences with traditional publishing too. If you enjoy the video (or even if you don’t!) please leave a comment to let me know. I’m especially interested in whether you’d like to see more videos here on Aliventures, and if so, whether you’d prefer shorter videos (3 – 5 mins) or longer ones like this. HI. Great Video. I am a blogger currently working on an ebook myself. To answer the question you pose above, I prefer videos that are between 5-10 mins long, hope that helps. Thanks! I think posting more videos is a good idea – on occasion. However, I’d suggest taking in to consideration the average time it takes to read one of your normal posts and make the videos roughly as long. That way those who only have about 5 to 10 minutes to check out your post can still fit the videos in to their busy schedule. Another option might be to make video “bites” like what you do when you break down your full post in to bullets. For instance, each bullet point you comment on above could be its own mini-video and you can have three or four in the same post. If people have time to watch all 15-minutes they can just sit and click the next one. If they only have about 5-minutes they can watch one video and wait and come back for the next one, so on and so forth. Or, this way people who just want to shoot right to the points that will assist them they can just jump to that video instead of scrubbing through the full video. Big thanks for the feedback; yes, it all makes sense! And that’s a good idea about mini-videos (which I hadn’t really thought about). I’m definitely leaning towards 5-minute videos (maybe even 3-minute super quick ones) — partly so I have more time for editing, and partly so I’m not demanding so much investment from readers. Awesome stuff, Farouk! 🙂 Let me know what I can do to help. Sorry it’s so quiet, Pwassonne, and thanks for persevering with the volume! It sounded fine on the laptop I recorded it on, but clearly I had something set slightly awry. Will make sure future videos come in at a more sensible volume.